Earlier today, Spotify announced its decision to reverse its creation of a hateful conduct ethics policy, which would remove musicians like R. Kelly and XXXTentation from curated playlists because of the allegations of abuse and assault leveled against them. The protocol reportedly had some artists, including Kendrick Lamar, threatening to pull their music from the service in protest. “That’s not what Spotify is about,” the streaming platform said in a statement walking back the new rule. 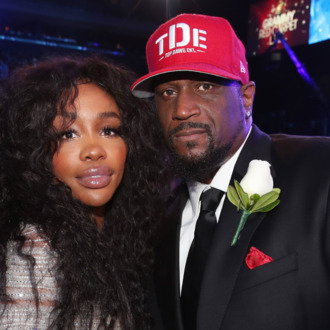 “We don’t aim to play judge and jury.” According to Anthony “Top Dawg” Tiffith, head of Top Dawg Entertainment which reps artists like Lamar, SZA and Schoolboy Q, he personally contacted Spotify’s global head of creative services to let him know that, should the new policy remain in place, artists across the rap and hip-hop industry would pull their music from the platform. According to the label head, the implementation of the policy was not only censorship, but unfairly targeted hip-hop artists. “I reached out to Troy Carter over there, we had a conversation and I expressed how I felt about it, about censorship, how you can’t do artists that way,” Top Dawg explained to Billboard on Friday. “I don’t think it’s right for artists to be censored, especially in our culture. How did they just pick those [artists] out? How come they didn’t pick out any others from any other genres or any other different cultures? There [are] so many other artists that have different things going on, and they could’ve picked anybody. But it seems to me that they’re constantly picking on hip-hop culture.” Earlier reports claimed Carter himself might have left Spotify if the policy was not changed.